Thank you for being one of the best restaurants in Bolgheri. The Osteria Magona, defined among the best restaurants in Bolgheri, the best grilled meat, tells a long and enthusiastic culinary voyage that started in 2004 in the centre of Bolgheri and today moved to the typical Tuscan style Casale, the Vallone dei Messi, on the Bolgherese, the renowed “Strada del Vino”. Here, in the midst of vineyards and close to the largest Bolgheri DOC wineries, a unique restaurant was created, in open country and with a sea view. 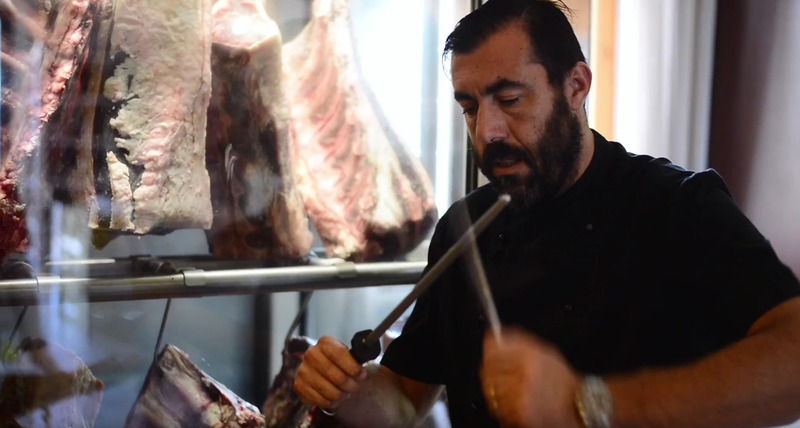 To welcome in the cradle of Tuscany and Mediterranean cuisine, of which the selection of meats by Dario Cecchini, famous butcher from Panzano, are the masters, is the chef Omar Barsacchi. Together with his wife Marina and his son Rocco, they have set the business venture in a simple and familiar atmosphere respecting the all-Italian tradition.